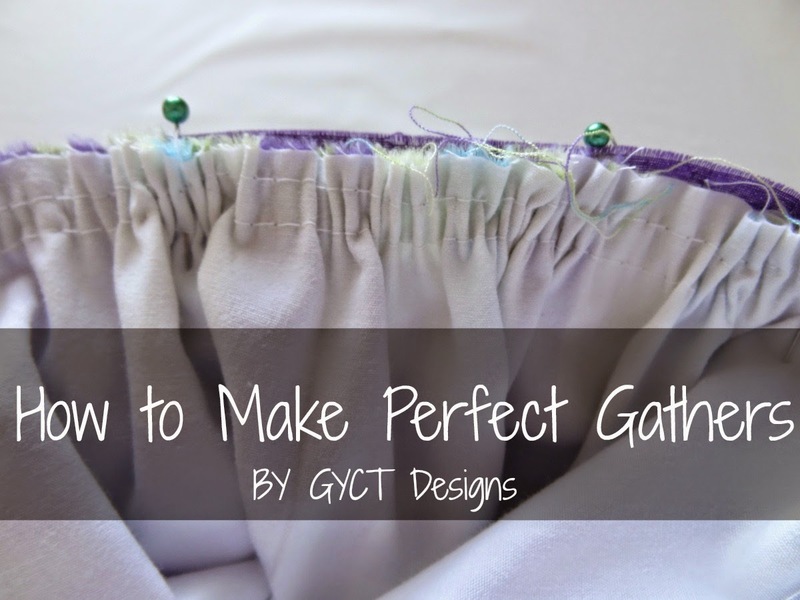 Today we are going to talk about adding the perfect gathers to a dress. Gathers are one of my favorite features when sewing for children. Gathering adds fullness and makes a dress or top more feminine. Today we will gather the skirt portion of the Holly and Ivy Party Dress. This week we are sewing up the Holly and Ivy Party Dress pattern. If you haven't grabbed the pattern yet, you can get it in our GYCT Designs Shop. When gathering a skirt, it is best to use a basting stitch on your machine. To do this you'll want to make your stitch length the longest you can on your machine. On my machine that is a 4. Start by sewing a row of stitches along the top edge of the skirt at about 1/8". Stitch a straight stitch across the edge WITHOUT backstitching. Make sure to leave your thread tails long at the beginning and at the end. This will help with gathering later. Now about 1/4" below this line of stitching, stitch another basting stitch. So you should have two rows of stitching. For most skirt patterns, to get the best gathers it is smart to stitch separate sections of gathers. I usually will make two rows of stitches on the front of the skirt. Than 2 rows on both of the back pieces of the skirt. So you would end up with 3 sections of gathers. You can see below how mine looks. Now take the bobbin threads of your thread tails from one of the sections and gently pull. This is how your skirt will gather. I will often place my gathered skirt up to the bodice or waistband and gather to the width of the bodice. Repeat with each section. Once they are gathered, you'll pin it to the bodice and stitch it in place. You can see below how even those gathers turn out when you have 2 rows. It really makes for some beautiful gathers. Here is the outside view of the gathers. Once you add your topstitching it will be so cute. Join our GYCT Facebook group to see more Holly and Ivy's and get more free patterns. 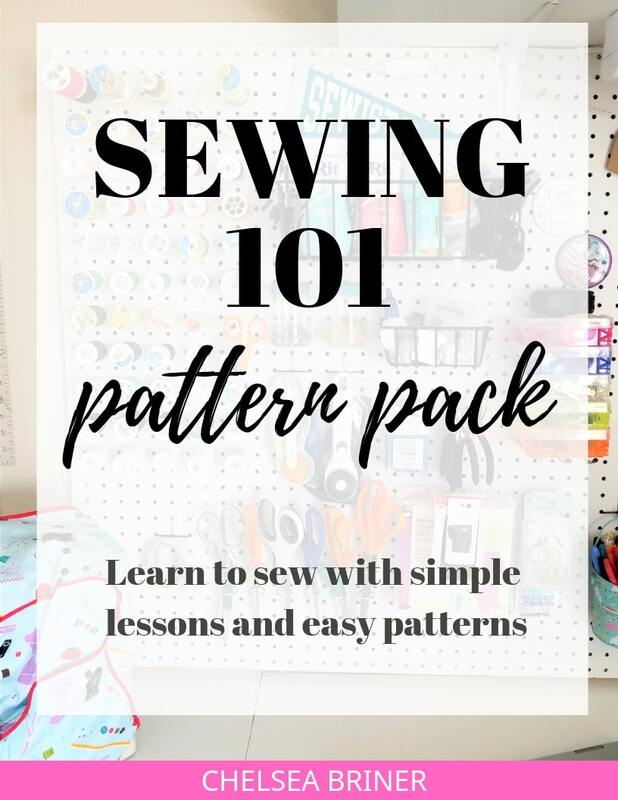 Want to learn to sew? Grab it in our Sewing 101 Pattern Pack. You'll get 7 beginner sewing lessons and 6 amazing beginner sewing patterns all for $14.99.